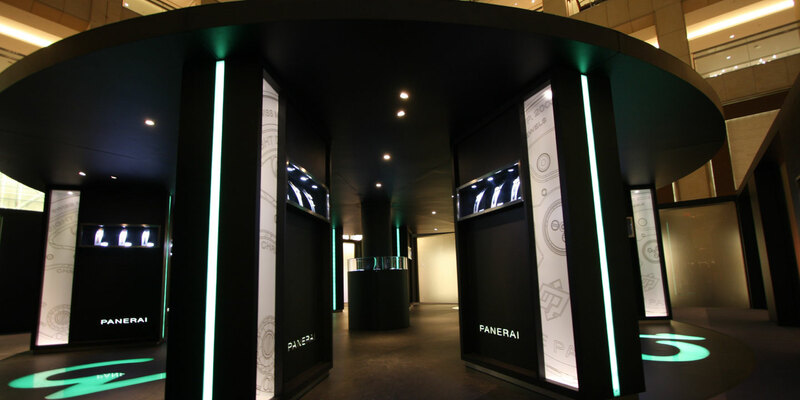 Luxury watch brand Officine Panerai combines Italian design flair with Swiss technological precision. 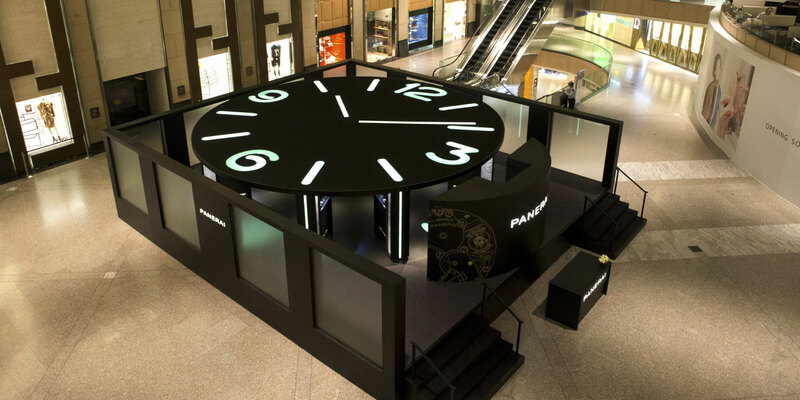 They approached Base Creative to create a large-scale exhibition booth that would provide an appealing environment for the items displayed and make a striking impression to attract visitors. 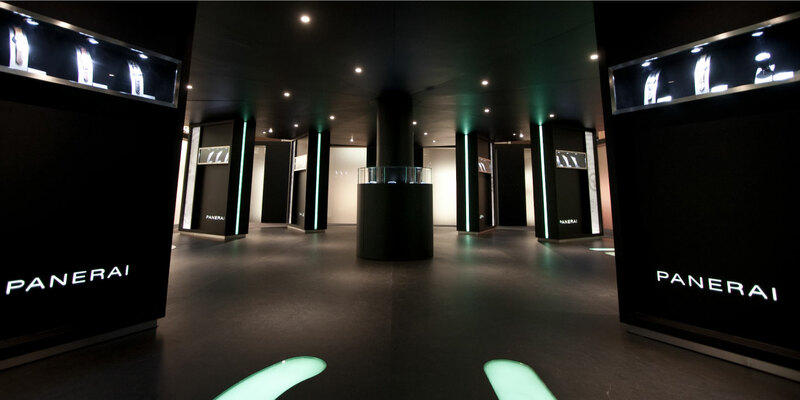 Inspired by the shape of a clock, we created a unique and memorable environment that would encourage visitors to experience the set in a circular motion similar to that of an hour hand.